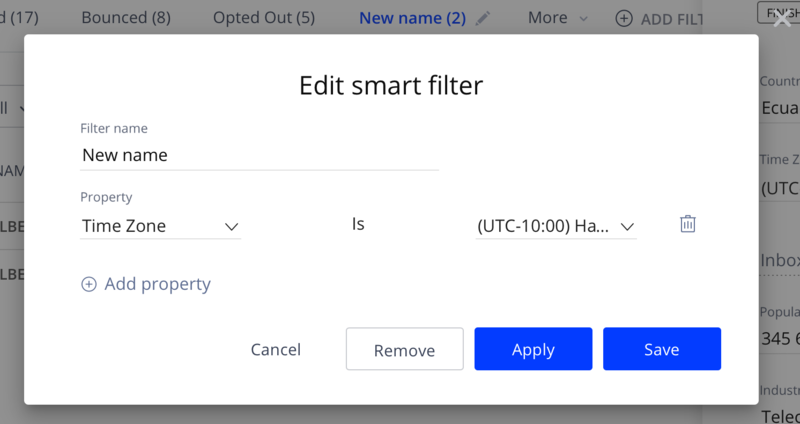 On the People page (People tab in campaign), click ADD FILTER. In the Filter name field, enter the name for you filter (optionally). In the Property field, select Status: Finished. In the Property field, select Time Zone. Select the Is [time zone] value (for example, UTC-08:00). Click Save to display the results.